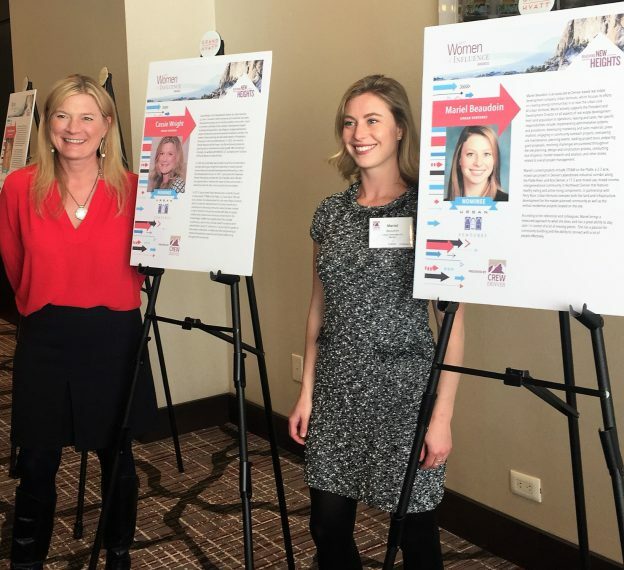 CREW is excited to honor women who are reaching new heights in the Denver commercial real estate industry at this years Women of Influence Awards event. Urban Ventures’ Cassie Wright is nominated for the Top Achiever award in the Real Estate Development / Asset and Investment Management category. Mariel Beaudion is a nominee for the CREW Rookie of the Year award.